Brexit creates opportunities and challenges for many different businesses and industry sectors in Ireland. In the following section we highlight the legal and regulatory challenges posed by Brexit. 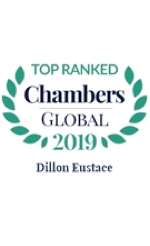 Our Cayman office provides the full range of client-focused Cayman legal services associated with an established firm operating in the world’s leading offshore jurisdiction. "This outfit is at the top end for thought leadership in the industry, which is extremely good. The firm brands itself as being in the investment industry rather than just the law." "The firm's focus is what makes it the best – its reputation is no lie and it has a sense of where future regulations and market controls are moving." 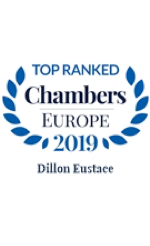 "excels at getting projects across the finish line"
"They have been very organised and their management of international lawyers has been excellent." "provides solutions to awkward issues based on particularly good technical knowledge and industry experience"
"They are highly knowledgeable, pragmatic, and accessible, and we feel that their rates are fair." 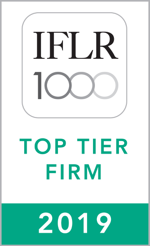 their "main strength is their dedication to providing a top-class client service." "they are bright, personable, responsive people who are a pleasure to work with"
"Excellent attention to detail and proactive on updating on regulations."